Self-driving car tech is nothing new but many skeptics still feel that full level four automation is at least a few years off, due in no small part to the many legal hurdles car companies and tech companies alike will have to overcome to achieve their ambitions. However, if GM has their way, full automation might be coming a lot sooner than we think. The car company recently filed a Safety Petition with the Department of Transportation, asking for permission to "safely deploy self-driving [vehicles] in 2019." The vehicle GM plans to deploy, dubbed the Cruise AV, will reportedly be the "first production-ready vehicle built from the start to operate safely on its own." The company released a short video offering us a sneak peek at what the vehicle may look like when it rolls out of GM's factories. Not only will the vehicle reportedly be capable of driving itself, it doesn't have any manual controls at all - there's no steering wheel and no brake or gas pedals to be seen. Designing a vehicle from the ground up with full automation in mind is a bold move, given that the company has yet to receive approval to deploy the vehicle to begin with, but one that could usher in the age of full autonomy much more quickly if it proves successful. The Cruise AV will be the fourth generation of GM's all-electric Chevy Bolt vehicles. 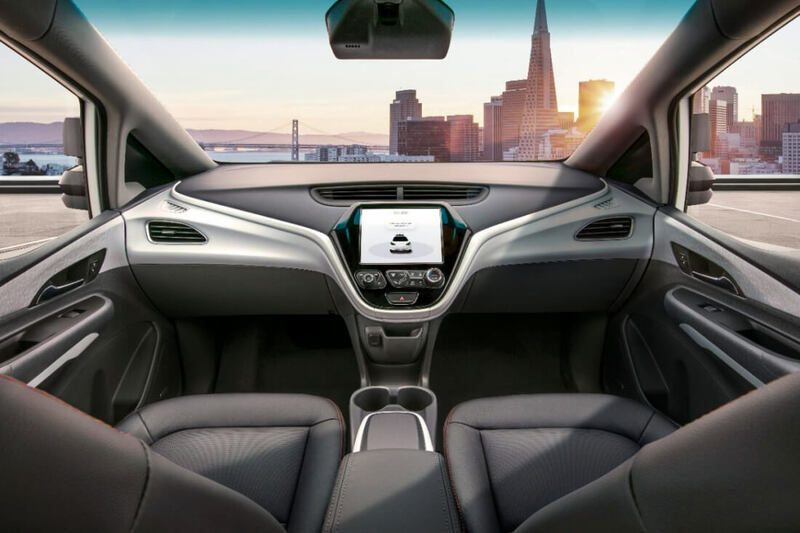 "It's a pretty exciting moment in the history of the path to wide scale [autonomous vehicle] deployment and having the first production car with no driver controls," GM President Dan Ammann said in a statement to The Verge. "And it's an interesting thing to share with everybody."